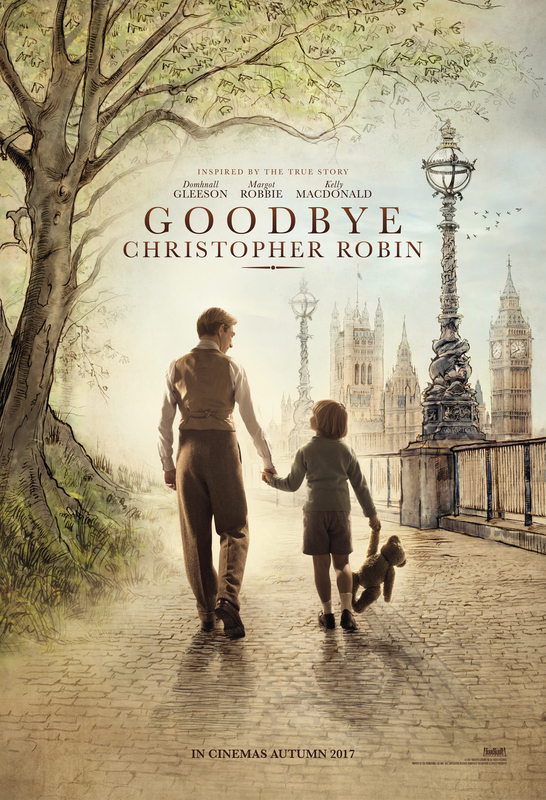 The author of the book “Goodbye Christopher Robin” was born in 1882 and was a soldier under the first world war. The soldiers fought bravely in believing that is was the war to end all wars. The soldiers fought to their death and many of them sacrificed their lives. Without the fighters, the war could never have been succeeded. Despite the many fallen, there were also many survivors. A. A Milne is one of these, but he got traumatized for life. He saw a lot horrible and he probably lost many friends. Therefore he got traumatized for the rest of his life, just like many other soldiers. in fact, over 16 million military deaths. And in total, around 40 human beings lost their lives caused by this terrible conflict. Is was one of the deadliest conflicts in our history. After Milne returned from the war, his normal life continued. He had family, job, and friends to take care of. But he was traumatized and could not control himself. He got easily scared, had though dreams, and problems with being focused. At the beginning of the movie, he tried to hold a lecture, but he did not manage to keep the focus on the task. This is mainly why the couple decided to have something good in his life, and something else to think about. The characters in his father’s book were inspired by Christopher’s toys and teddy bears. This was very personal for the little boy. This was his own universe and his imaginary friends. Therefore he got mad when his father chared his own universe with the rest of the globe. In addition to having his toys in the book, the main character was Christopher himself. Therefore many wanted to meet him and earn money on him. This took away a big part of his childhood. For me, it is important to be safe, and have many around me for support. It is also essential for me with something to do. This is also everything Christopher ever wanted from his parents. He wanted them to see him, to love him, and care about his life. Christopher’s father had just been in war before he came to the world. This really affected Milne, and thereby also the relationship with his son. The boy looked up to his father, but on the other hand, he was busy with himself, he was strict, and used his son for his own carrier without consent. This led to a complicated relationship, especially as a kid, Christopher missed recognition from his dad. He was also angry at his dad for making a book about him. As he grew older, he could see why the citizens needed something to be happy about after the war, as a child book. Therefore he was not that angry at his father for making the book about him. The boy was not always his father’s first priority, but the nanny, on the other hand, was almost always there for him. She cared about him and took him with on adventures, and she was there for him. She was alomsot like a mother for the boy. Their relationship did not change in particular, they almost became best friends. Christoper went to a school with only boys. It was before the WW2, and it was pretty strict. Especially the boys who were different probably had a hard time. The boy got bullied for being Christopher Robin. He got pushed down the stairs and a hard time in general. Ellis Island is an island located outside of Manhatten. Previous when immigrants wanted to come to the USA they had to pass this exact island. Ellis Island was an immigrant post from 1892-1954, and around twelve million individuals entered the USA through Ellis Island. Close to the island is the Statue of Libert, on a separate island. The statue is was, and is a symbol of freedom and democracy. 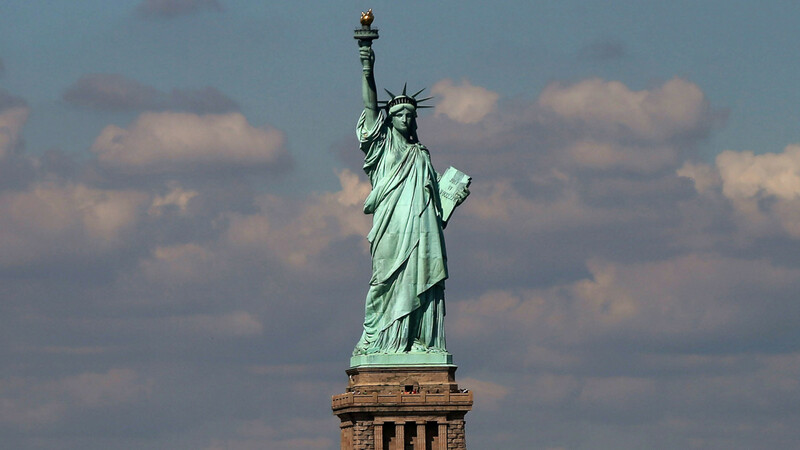 The Statue of Liberty was given to American by France. It was supposed to start a friendship between the American people and the France people. In fact, the statue was made by the same man who made the Eiffel Tower, Gustave Eiffel. It became a symbol of freedom, peace, and democracy, and today it is a symbol of America as well. 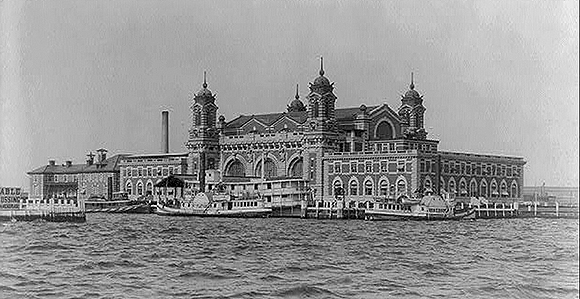 People around the world now have relatives who immigrated to the USA through Ellis Island. For instance, a lady named Sofie Kaardal arrived at Ellis Island in 1938. She was 43 years old and arrived presumably with kids. Perhaps she had lost her man and wanted to find happiness and success in the country of opportunity. This lady might be in my family, and in that case, I have relatives who came through Ellis Island. Of the twelve million, there were also some who became famous around the world Albert Einstein is one of these men. He was German and arrived in 1921 and he was 43 years old. His wife arrived with him as well. The USA still has the nickname as the “land of opportunity”, but is it still that? Between two-thirds and three-fourths of the American population believes the American dream is dead. On the other hand, there are still people finding happiness in the country. The reason why some may believe the American dream does not exist any more might be because many believe the American Dream means that almost everything in life goes perfect. The New American dream means that you can accomplice a lot, but you have to work hard for it. It is about going the original path you desire. It is about learning by doing and it is about following your heart and hard work. Today we have learned a lot about which role the English language has in our world today. This is a powerful tool which allows us to communicate with the rest of the world. Today there are around 1,5 billion English-speakers, and English is the current Lingua Franca. But why is English the chosen language, and how has it become spread? There are mainly three reasons to the spread of the language; the British Empire, the power of the USA and globalization. In the past, the British Empire had a lot of power, both economic and military. Therefore they had the power to take colonies around the world, and they used the power. The difficulty was that the people in the colonies had a different mother tongue. Therefore the colonies had to learn English so they could communicate. Today, they are not in control over these areas anymore, but the language still remains. In addition to the power of the British Empire, the United States has helped to spread the language. They got in control after the two world wars. Today it is almost necessary and essential to have an understanding of English if you want to see movies, television or listen to music. Technical development has made English an important language around the world. Today more than 400 million people speak this language as their first language, and even more, have English as their second language. These people are primarily living in the previous parts of British colonies. In addition to 1st and 2nd English-speakers, there are also many EFL-learners. That is, in other words, people who work to learn English. English has now, in fact, also become the current Lingua Franca. This means that English is the language for international communication. Almost every single citizen on this planet, somehow know some English. And every single one of the humans is unique, thereby it is not weird that there are some varieties of English. For instant, it has evolved to some new Englishes, called “creoles”. In former colonies like in Asia, Africa, and the Carribean there has become some mixes of different languages. For example, the language Spanglish is a mix and Spanish and English. The English language also has different Dialects and Accents. Dialects are different ways to pronounce, and there are regional variations and social variations. Accent, on the other hand, is often related to the nation. Sometimes it is possible to understand where a person comes from through the accent. Under is a map of the variates in English and how the language got spread. Being able to understand and communicate in English is essential. The English language is an amazing tool, and it makes communication easier, especially in other countries around the world. For me, it is important to understand English well. I believe the easiest way to become better in English, is to be more exposed to English in my daily life. This is something I can achieve with only some small changes. I can, for example, change the language on my computer to English, I can listen to English music, I can watch English movies, and I can read English books. In addition to English in my daily life, I can write down words I do not know or understand. This will probably lead to a better vocabulary, and therefore also a greater understanding. In my opinion, it is important to focus on reading English, hearing the language and use the language actively. Through books, I can learn new words, how to write correctly and grammar. Through movies and shows, I can learn intonation, and get a better vocabulary. Lastly, it is important to really use the language. The easiest way to use English is to talk and communicate with others. To communicate in English is important in the English classes, but I believe it is smart outside the school aswell. What I have written in this text might lead to a better understanding of English. I hope I manage to follow my own tips, and perhaps end up with a good grade in English. Today we played an educational game, called Spent. The purpose was to survive 30 days and have at least 10$ left after the month. We learn about poverty and have to survive with little money and high wages. We also understood have much a family might cost, and learn how hard it is to prioritize. The game is made after the Americans reality, and they do not have a welfare system. Who you and your family are, really depend on how your life will turn out. Therefore I understand how lucky I am because I live in Norway. In today’s English class, we skyped with students from both India and Israel. We discussed problems about global warming both here in Norway, and in their countries. Their main problems with global warming were heat and pollution. Our problems are actually pretty similar, although it is snowing and cold here at the moment. This winter in Norway is very cold, but on the other hand, our summer this year was extremely hot. It was hard to grow food and it was drought around the country. This is the exact problem Israel has, it is way too hot for them. Cased by the hot temperature, they have a lack of water as well. This is a huge problem for the citizens, humans cannot manage to live without water. India is far away from Israel, but they have a problem with heat as well. 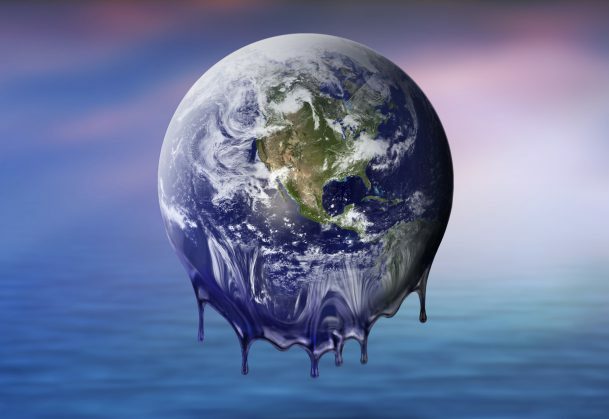 Global warming is affecting the whole globe, and we have to cooperate to make a difference. The contrast is, in India, they had other main problems caused by global warming. In addition to the heat, they had huge problems with pollution and floods. In India, 130 lost their lives caused by a flood, while they worshiped their gods by a temple. In my opinion, this is a clear sign; we have to do everything in our power to stop global warming. In both India and Israel, the young people were interested in saving our planet, but they are not fighting the battle against climate changes alone. For example, the children in Australia are separating the garbage, they recycle, and they focus on renewable energy resources. In addition, they are encouraged to walk and cycle, instead of driving. The current situation in Australia is pretty awful because the temperature is extremely high. That leads to many consequences, some families, for example, have experienced snakes in their bathroom, the reason is that it is too hot for the snakes in their natural environment. Because of our horrible actions, the temperature is high, and especially the pets now have to suffer. Climate changes are highly important for people in Europe as well. In Belgium, for example, students planned to refuse to go to school, as a protest. The reason is that the government do not take our climate problems serious enough. Therefore, the children stand up and work hard for a difference. In Bali, there were also two courageous little girls, who wanted to make a change and help to stop climate changes. Bali is a beautiful country, but they have a huge problem with garbage, especially plastic. They took the problem with plastic bags in their own hands, and they made a difference. They gathered other children and managed to speak to the governor. After a tough battle, they succeeded to prohibit plastic bags in 2018. As far as I am conserned, this is an enormous inspiration. This shows that we, the children, also can make a major difference. Small voices can help save the world, together we are stronger. Thursday on the 23 of June in 2016, there was a huge referendum. Nearly every single citizen in the UK, who could vote, decided together if they should leave the European Union, or not. Like everything else, there are both positive and negative sides. On one hand, it will lead to many advantages, that is the facts. For instance, they can trade with other countries. On the other hand, the nation’s population are afraid. They believe the immigrants come with violence and crime. Therefore, it is important to look at the facts and the fear. Brexit means, “Brittain exiting from the EU”. The countries all cooperate, which is an advantage for everyone. For instance, they trade products, the citizens work in each others countries, and they help the other countries. Unfortunately, the UK wants more power over themselves, and therefore wants to leave EU. Donald Trump has tried for a long time to build a great wall, on the border to Mexico. This is highly important for him because he wants to lower the immigrants from Mexico. He has many reasons why, for instant he wants the Americans to do the jobs in his country, not immigrants. “America first”. Another problem is the fact that the immigrants are more likely willing to work for lower wages, which will lead to less money for his country. This goal is extremely important for the President. He strongly believes holding immigrants out of his country will lead to a better future. He thinks they steal his people jobs. What I find strange, is that he thinks it will make such a huge difference. After all, the Mexicans still have the opportunity to cross the board, they just have to use a different way. Fortunately, the rest of the government in the USA do not agree with this crazy man. Therefore, he inducted a government shutdown. Many citizens lost their jobs for a while or had to work without wages. This is brutal for the people and the families, this might lead to huge disasters. As far as I understand, this is unacceptable. The people have to work together to stop theses mad proposes. This has happened before with both Obama and Clinton, but it is outrageous and terrible now as well. There are happening huge changes in both England and the USA. In England, Brexit is an important topic, and the border is very important in the USA. These events have many similarities, which I find significant. Both parts are not in fond of the illigeal immigrant who crosses the border. The politicians in both countries find this horrible, and something they have to fight for to stop. Who is affected by this shutdown? This shutdown affects every single human being in the USA, this engages everyone. especially the poorest people. For them to live without wages might be impossible. They might have a bad economy, and therefore have to loan money from the bank. The banks might therefore earn money from this catastrophe, while the citizens have a hard time. A former U.S president, Harry S. Truman, had a sign with this sentence on his desk. It means that you have to take responsibility, and not take the blame on someone else. This is very important if you are a leader, especially with much power, like Donald Trump. The book, A day’s wait, is written by Ernst Hemingway. The short story is about a son who is sick and his caring father. The boy thought he was going to die because he had 102 Fahrenheit in fever. He had heard that humans cannot live if the fever is over 44 degrees. The boy mixed the units and became petrified for his own life. What was mysterious about his behavior, is that he did not talk to his father about is. He tried to not think about the fact that he was dying. The boy did his best to act normal, but could of course not concentrate normally. That made his situation very hard on him. If he had talked to his father, he would have understood that it was nothing to worry about. This is a perfect example that shows that we should not suffer in silence. I really find this book interesting. Firstly, the short story is partly true, which I think makes it even better. Secondly, the moral of the book, do not suffer alone, is very important to remember. Furthermore, the store was both sad and happy, and that is an entertaining combination. What is special about this story, is the writing. The short story was originally released in 1933, by the amazing author, Ernest Hemingway. All of his books are special, caused by his famous writing. First of all, he always wrote many short sentences. It is not necessary with many words if you can view your point with fewer. He also focused on having vigorous English, which made his texts better. Hemingway often let his real life inspire the texts. One of his greatest tips to young writers is to really listen to what people are saying. Perhaps they can inspire your next writing. The famous author is often inspired by his life. And he likes to mix fiction and facts. For instance, he wrote, A day’s wait, after his first son had had a high fever. The author often includes dialogue. This makes his style highly unique. Dialogue helps the readers to understand the characters, and how they behave. As we can see, Hemingway had an interesting and different way to write. Many other writers have been inspired, and many have tried to copy his writing style. Because of his writing style and his stories, he has been one of the greatest authors ever.